Michael B. Jordan Gets 'Fantastic' at MTV Movie Awards 2015! Michael B. Jordan is joined by his castmates from the movie Fantastic Four while posing backstage at the 2015 MTV Movie Awards held at the Nokia Theatre on Sunday (April 12) in Los Angeles. 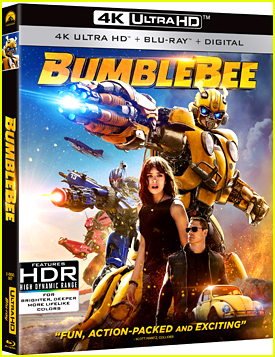 The 28-year-old actor and his co-stars – Miles Teller, Kate Mara, and Jamie Bell – presented the award for Best On-Screen Duo during the show that night. Make sure to see Fantastic Four when it hits theaters on August 7! FYI: Michael is wearing a Vivienne Westwood suit, Givenchy shoes, a Montblanc watch, a Gentlemen x David Thomas lapel pin, and Jason of Beverly Hills diamond studs. Kate is wearing a Cushnie et Ochs outfit. 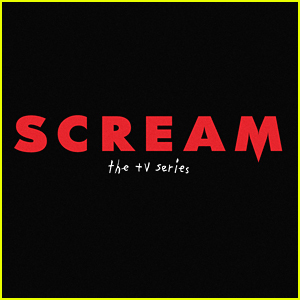 Watch Bella Thorne Scream For Her Life In 'Scream' TV Series Trailer; Premieres June 30th! Who’s ready to be creeped out by the new trailer for Scream, the TV series? Premiering at the 2015 MTV Movie Awards, the new show is based on the eponymous, international hit horror franchise. After a cyber-bullying incident results in a brutal murder, the shocking violence stirs up memories of a killing spree from the past that has haunted some, intrigued others and maybe just inspired a new killer. A group of teens – with two old friends struggling to reconnect at its heart – become lovers, enemies, suspects, targets and victims of a killer who’s out for blood. Scream is set to premiere on June 30th! Miles Teller introduces Shailene Woodley on stage at the 2015 MTV Movie Awards held at the Nokia Theatre on Sunday (April 12) in Los Angeles for her Trailblazers award win. 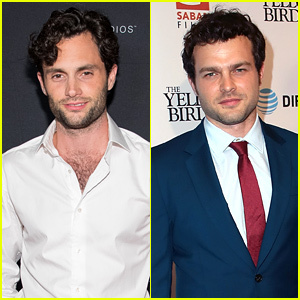 The 28-year-old actor gushed about his frequent co-star and her amazing nature. He talked about their first meeting, her compassion, her style of living, and more in the speech. Chrissie Fit brings the tropics to the 2015 MTV Movie Awards held at the Nokia Theatre on Sunday (April 12) in Los Angeles. 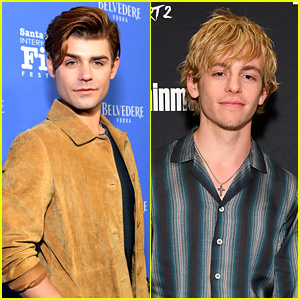 The Pitch Perfect 2 star wore a cute floral dress and joined her Teen Beach 2 co-star Garrett Clayton on the blue carpet. “No big deal… Just the #Avengers on a knee for #RobertDowneyJr at @MTV #MovieAwards,” Garrett captioned from inside the show. Check out the shot below! FYI: Garrett wore an H&M jacket, Hudson jeans, Marc Jacobs shoes and an Alternative shirt. Zac Efron Goes Shirtless Again at MTV Movie Awards! Zac Efron gets his jacket pulled open by Dave Franco to reveal his shirtless body at the 2015 MTV Movie Awards held at the Nokia Theatre on Sunday (April 12) in Los Angeles. The guys were on stage to accept the award for Best On-Screen Duo for their work in the movie Neighbors and they even went in character for the funny moment. Zac, who presented earlier in the nigh alongside Emily Ratajkowski, also won the award for Best Shirtless Performance for the second year in the row. 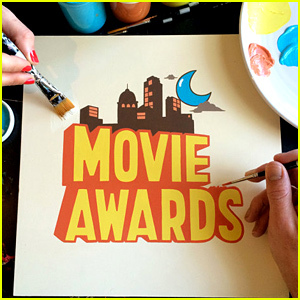 MTV Movie Awards 2015 - Complete Winners List Right Here! The 2015 MTV Movie Awards just wrapped up and it was such an amazing night! Lots of our favorite celebs walked away with awards including Shailene Woodley, Zac Efron, Dylan O’Brien, and more! Be sure to check out the entire show coverage, hosted by Amy Schumer, in case you missed it!